Some trends come and go sooner than you can flip through your favorite magazine. Usually I try to stay away from "trendy" items because they tend to be a bit out-there for my classic taste. 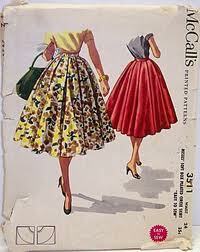 However, this season I am loving a certain silhouette that is popping up everywhere I look: The Full Skirt. how perfect is this?? sigh. Aren't they just to die for?? Have y'all jumped on the full pleated skirt bandwagon yet? How would you style it? Can't wait to hear your ideas!